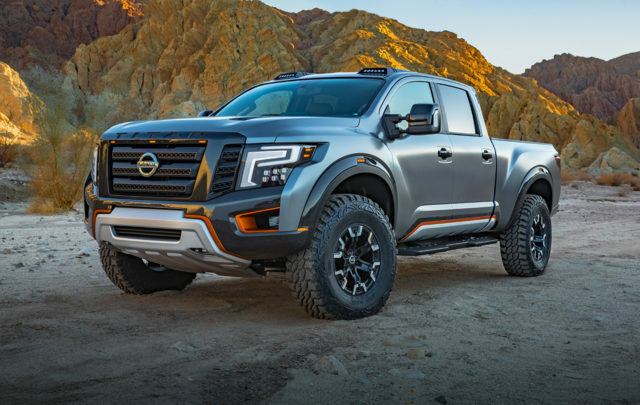 Whether you’re looking for performance, ease-of-use, lots of power, or a modern look, the 2017 Nissan Titan Pro-4X has it all in one sleek package. Specifically designed for off-road use, the Pro-4X has a rated towing capacity of 9,100 pounds, making it an ideal solution for all of your light- to medium-duty needs. In addition to an impressive engine, the 2017 Nissan Titan Pro-4X also features a very comfortable interior, with all the sophistication of the latest SiriusXM, GPS, and Bluetooth technologies. 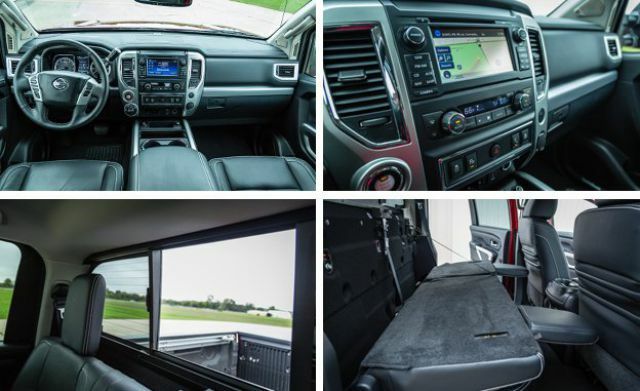 A wireless phone charger, adjustable electric seats, and lots of storage space both inside and outside the cabin add to the convenience of this impressive truck. The newest 2017 Nissan Titan Pro-4X features a relaxing and redesigned interior with the shift lever conveniently located on the steering column and an optional leather-upholstered interior. A new addition to the Nissan Titan Pro-4X is a generously sized center console. 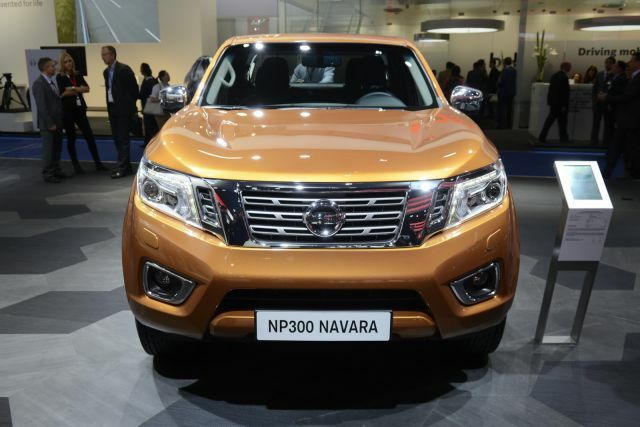 Even the passengers in the back seat are in for a treat with ample leg room and rear vents. The outside of the 2017 model include 18 inches all terrain tires with aluminum alloy wheels for serious fun off the beaten path, fog lights to cut through dense mist, and skid plates for maximum undercarriage protection. Need a tow? The Pro-4X also comes with front towing hooks for those unexpected ruts. Have a boat or a trailer? A Class IV tow hitch receiver with a 4-pin/7-pin wiring harness is available for all of your towing needs. If the standard package isn’t enough, there are a few other package options to choose from. The utility and Tow package add handy features, such as a trailer brake controller and extendable power mirrors, to make hauling trailers a snap. The convenience package adds some light luxury items to the adequate features of the standard package, including heated front and rear seats and an adjustable steering wheel. A luxury package is also available, adding, even more, comfort and convenience to the interior. At the heart of the Pro-4X is a standard V8 gasoline engine with a whopping 390 HP and 394 ft-lbs of torque. 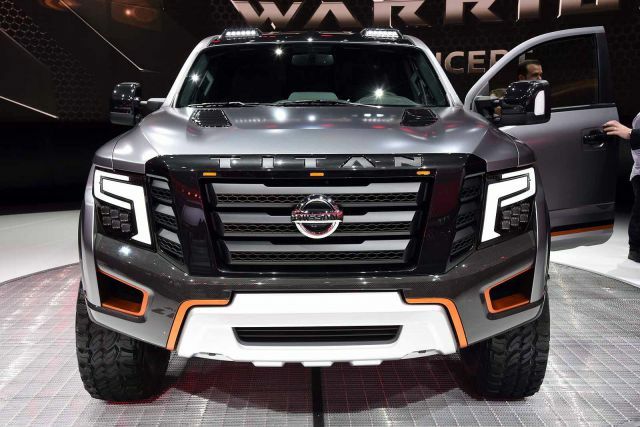 Add to this a curb weight of 5,811 lbs and a fuel economy rating of 15 mpg city and 20 mpg highway, and you get an overall powerful and efficient truck. 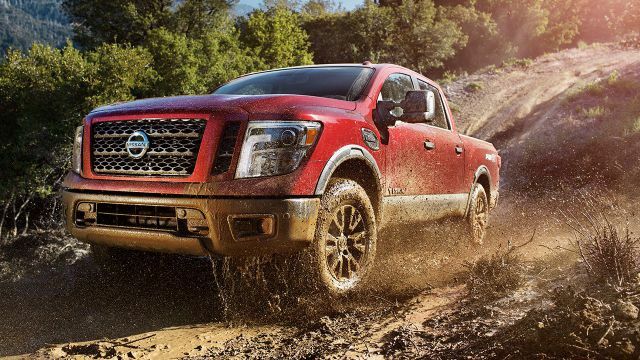 The Nissan Titan Pro-4X also features advanced off-road technologies, including hill descent control, hill start assists, and an electronic locking rear differential. There is also a trailer sway control, and a remote start, making Pro-4X even easier and safer to use. 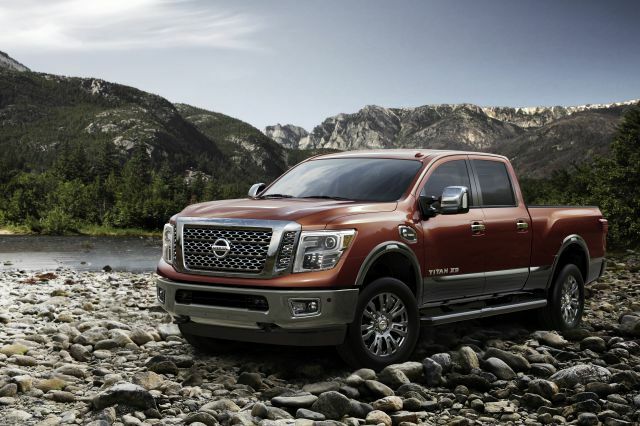 Depending on the trim and features you select for your 2017 Nissan Titan Pro-4X, you can expect a retail price of anywhere from $35,000 to $52,000. 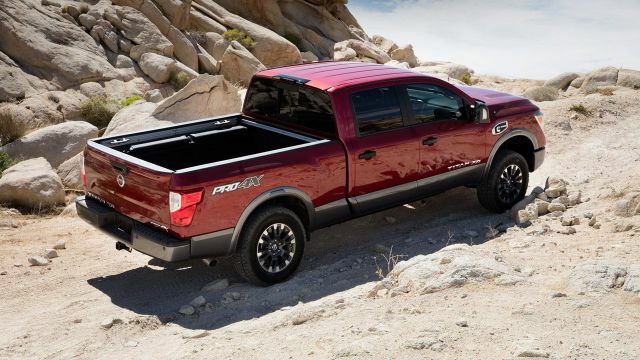 An average estimate for the truck with a few added options would be in the $46,000 to $48,000 range. 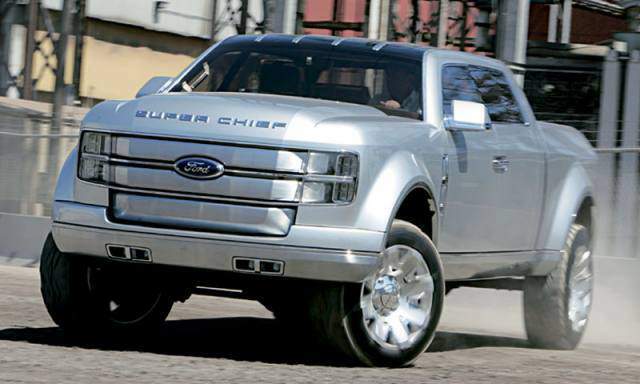 The model is expected to be released in the second half of 2017.